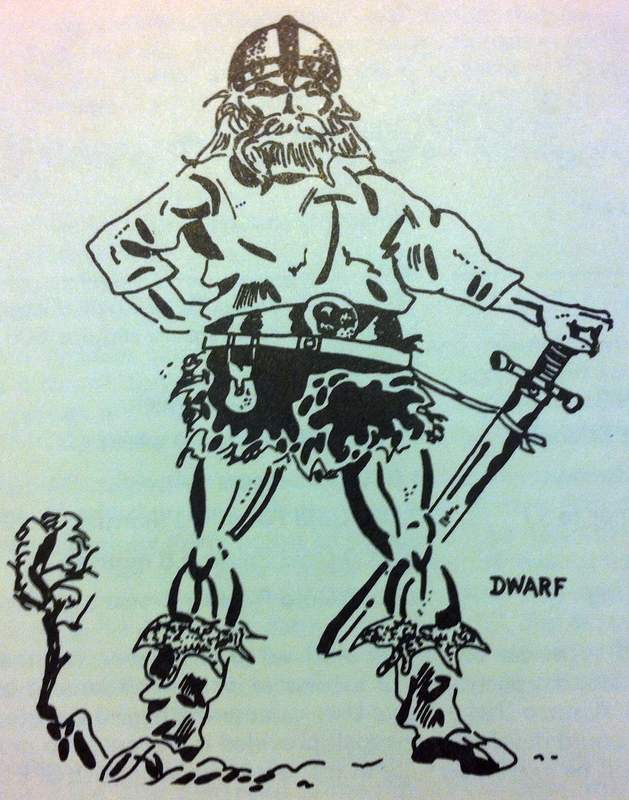 Gnolls were originally gnome-troll hybrids! In the first part I shared how our group felt about exploration and open play with the Original D&D “White Box” edition. Our party was mapping, moving through the dungeon and bashing into doors to see what they could find. Surely fortune, but perhaps danger? With our table illuminated by my old lava lamp, we continued. The next door the party opened led to a room inhabited by two trolls. I described their warty grey-green skin, their long nose and round-ridged eyes, their long arms, and their stooped posture, rather than name them, but the players instantly knew what they were. (The room originally had four 6 hit die trolls, I changed this to two 3 hit die trolls). Lard sent his mule inside (“Ok, I guess you brought your mule into the dungeon…”, I said), making a strength check to push it into the room. This would prove sound for all but the mule, as that mule later soaked up several hits by one of the trolls. Because the trolls had a lot of hit points and the party missed a lot, the combat eventually settled into the usual pattern of die rolling and calling out results. We had descriptions from time to time, but it had that grind aspect. Yet, it was perilous. The trolls regenerate. One troll dropped and the other was still strong when Magicuserelf began to parley. Eventually an agreement was in place – the party could adventure beyond but must give all their treasure to the trolls (the other one was alive again now) upon exiting. The PCs agreed, surely planning treachery. The trolls also kept the mule’s remains as a (yummy) down payment. The next battle was made easier by a decision to burn the furniture stacked inside the room. Now, most rooms in this very first adventure lack any distinguishing marks. I made up the stacks of furniture to add color. This room held some really horrid snakes hiding amongst the furniture, and the use of a flask of oil was a great idea and made the fight very easy. Of course, this was a huge judgement call on my part. These are six 5 hit die snakes, and I turned them into 1 hit die due to the fire damage. I could have been far more cruel (say 1d6 fire damage) and it would have been an easy TPK. Through the combination of combat and gold, the PCs gained third level. Each level provided some hit points (1 for magic-users, d6 for clerics, and roughly d6 for fighters). Clerics finally gained spells and magic-users gained 2nd level spells! Despite having so little text, deciphering how OD&D combat works is a challenge. Monsters often have little guidance. It wasn’t clear if the Nixies could only use Charm once, or if they could use it once per PC that approached. Monster powers are sometimes clearly unequal – one attack form might be clearly superior. There is no real balance, and clearly the adventure has no inherent balance. I am guessing Temple of the Frog is for characters that are levels 6-8, but really no level is suitable for the rooms with 250 guards! It took several editions to really address these balance issues. 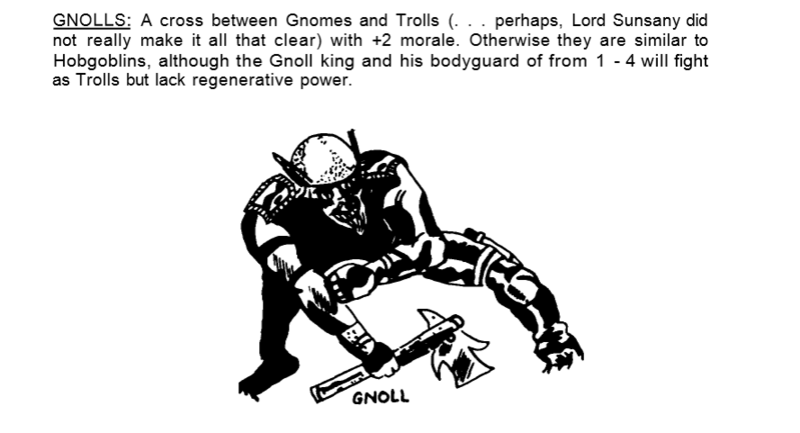 Even 3E had wildly different threat levels based on what PC levels you gave monsters, had very uneven “special attacks”, and the entire encounter design process was confusing and complex. Because of this, only once did I contribute to 3E organized play with a monster “stat block”. Many of us preferred to work just on story and found monster creation to be a chore. It really limited how much I contributed. 4E’s encounter design has been a joy for many and is directly responsible for my writing entire adventures for Living Forgotten Realms (which in turn led to being an admin for Ashes of Athas and then to being published in DDI). I guess I owe a lot to 4E’s design! In creating D&D Next, a big question will be what to do with 4E’s fantastic encounter design, which rests atop a layer of crunch that is very 4E-centric. If we want a more open play style, must we abandon 4E’s innovation? To play AD&D style, will we need to leave behind those advances? Progressing further, the party encountered a room with several rooms formerly used as cells, some statues of people in combat, and stairs going down. 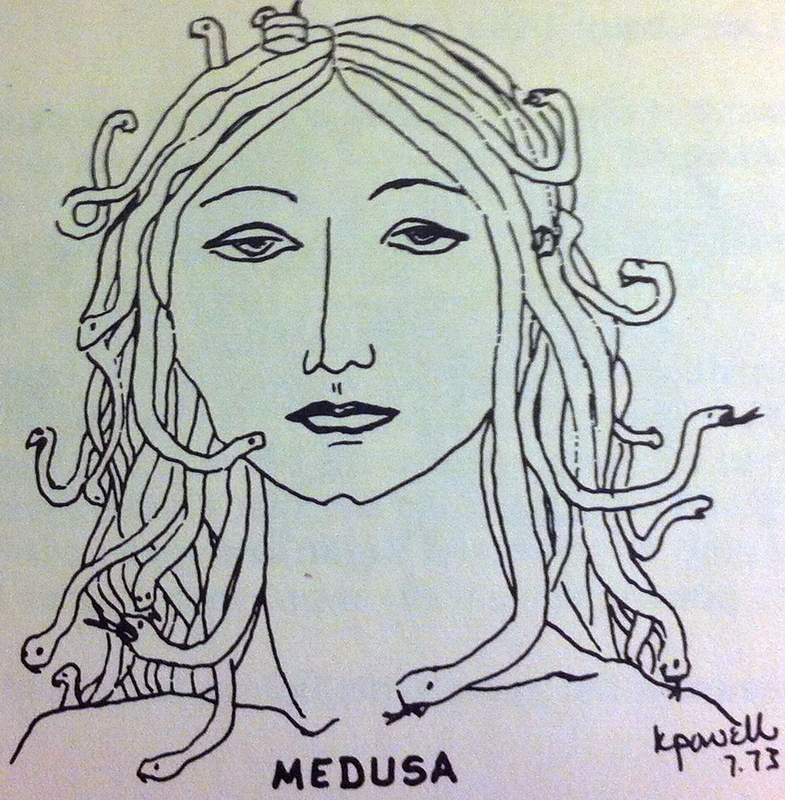 It was no surprise for the players when the medusa attacked. (The room held 2, but I changed it to 1). Part of the “fun” of a medusa is her gaze attack, which in this edition is just whenever a PC looks at her. (I noted as a DM that there is no attack penalty for attacking blind, but I came up with something on the fly). The combat began with her attacking Magicuserelf and the hireling. Falath valiantly fought while Magicuserelf bravely ran away. The rest of the party responded, though sadly Magicuserelf was killed by mistake when he ran into the dark room where Borkin was searching for treasure. Borkin couldn’t see who it was and took him to unconscious. Technically, 0 hit points is death, but I house-ruled that this death took place at the end of the round. Borkin then stepped on him as he walked out the door, killing him for good! Rukia, Falath, and Borkin engaged the medusa. Chucktesta cast Protection From Evil on Falath, which helped avoid some blows. Lard tried casting Sleep, but unfortunately the medusa’s hit dice meant she was immune. When she attacked her snake hair was a major problem. Every attack required a save against poison or the person bitten was dead! One of the interesting bits in OD&D is that monsters attack a number of times per round equal to their hit dice. This medusa was making 5 attacks a round! Poor Falath the hireling fell to poison. The remaining 4 PCs pressed their attack, finally bringing the wicked snake-woman down. How Do We Heal Again? At some point one of the players asked about healing. In OD&D you must rest a full day before you can begin to heal. On “every other day thereafter one hit point will be regained until the character is completely healed.” As if to make fun of us all, the rules then add, “This can take a long time.” Ha! What it really means is that in OD&D you sleep in a dungeon to regain spells but you can’t ever regain hit points. For that you must leave the dungeon and have a week or more pass. It isn’t hard to see why the game has addressed that, providing different ways to heal over a non-combat day (AD&D), ways to charge up wands with healing (especially in 3E), and eventually leading to healing surges, second wind, and at-will healing (in 4E). 3E and 4E both made innovations to deal with this, but especially 4E. It will be interesting to see what is retained or furthered from these advances. Raising the dead is only for high level spellcasters. However, through some strange humor Larp used a Knock (Up) spell to cause the spontaneous rise of a fully grown new PC, which replaced Magicuserelf. The details are… well, it involved a lot of laughter and several house rules. It was interesting to note that in this session the problems of OD&D really came to light. We all saw how combat lacked variety, other than that which we chose to provide with vivid descriptions. Our characters were pretty similar, and the few differences felt arbitrary rather than balanced. We did enjoy that the game’s form encouraged greater imagination and exploration. Role-play and story were really something for which we responsible (most gamers during OD&D days didn’t do that much RP), though nothing impeded it and the open play lent itself to it. I could see that while this second session was still fun, and the group would have gladly continued, there was also the sense that the game’s shortcomings were a good reason to move on. Whereas last session they insisted in continuing with OD&D, this time they gave in. Next time we break out the first Basic D&D set! What advances will the game bring? 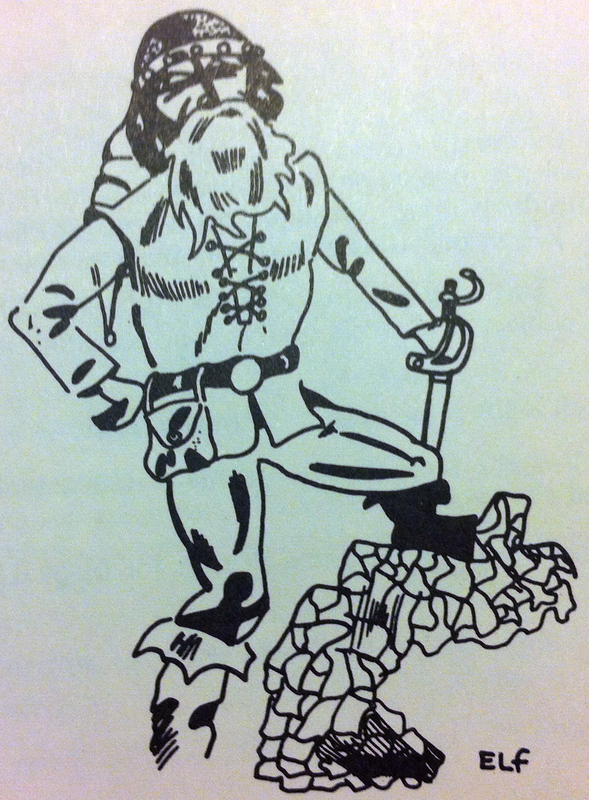 What steps did it take toward a new vision for D&D? No, I can’t tell the difference either! This entry was posted on October 12, 2015 by Alphastream and tagged 5E, Monsters, OD&D, RPG History.